Fashion doesn’t know the age. It’s truly a whim, devotion or even extravagancy. Once you get enchanted by this flow of exultation you see no other life style option. These mesmerizing Ladies impersonate the Legends being artists and witnesses of all the transformations, decades, metamorphosis and vicissitudes the history has been concealing for years. 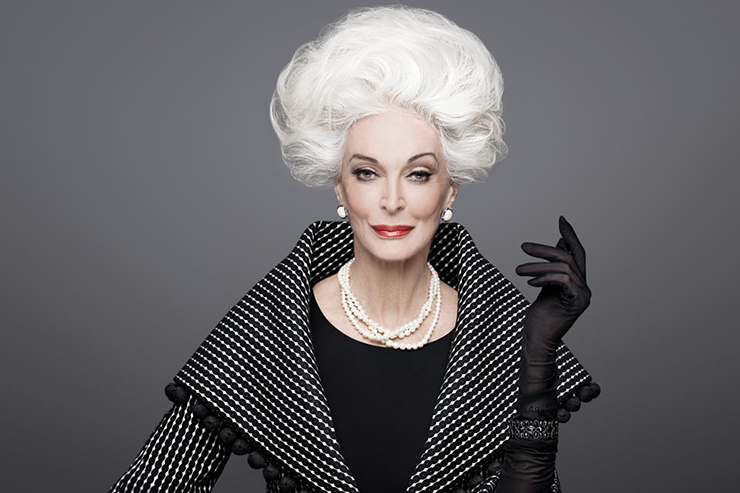 We selected the top ten of the supermodels, stylists, fashion activists and simply the icons of ageless beauty and style. You may like them or not but their contribution in fashion industry is hard to deny. 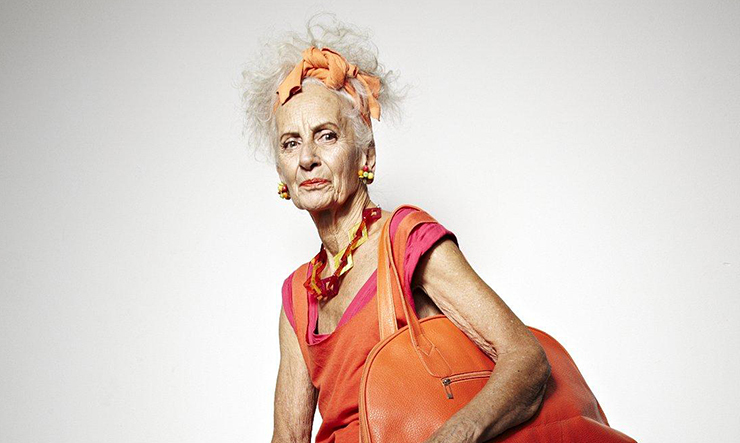 She’s the world’s oldest working model as of the Spring/Summer 2012 season. At the age of 13 she was offered to model by the wife of photographer Herman Landschoff. Her godfather introduced her to Vogue and fifteen-year-old Carmen signed a modeling contract, then she became a favorite model of the photographer Erwin Blumenfeld who shot her first cover for the magazine in 1947. Ms. Dell’Orefice openly admitted she has facial fillers to help delay the aging process. We can hardly blame her for that. She looks gorgeous. A German model, actress and artist who was popular during the 1960’s. This woman appeared on eleven Vogue covers and on the screen as a sexual goddess. That scene of her being a cat in a jungle made her a fashion darling as well as the fact she was seen as the radical alternative to Twiggy. Her six-foot frame, with its improbably long limbs, was revolutionary. She studied art in Hamburg and then moved to Florence, where she was discovered at age 20 by the photographer Ugo Mulas and became a full-time model. 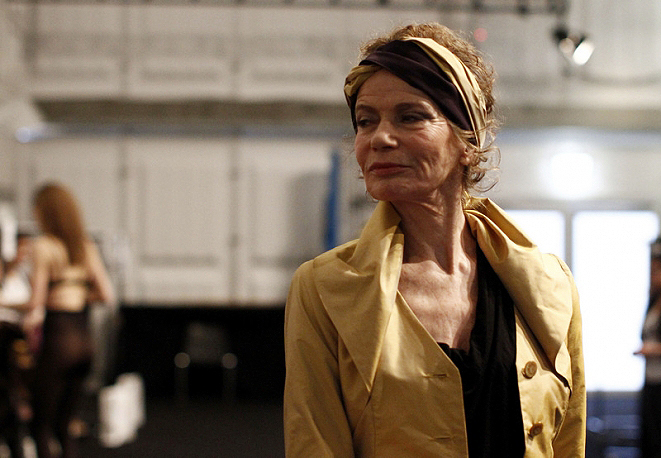 It’s been a long time since then and still Veruschka runs the catwalk; she donned a gown and headdress at the Giles Spring/Summer 2011 show. World’s oldest supermodel, Daphne Selfe, the very one who’s been wearing the iconic conical bra and corset made by Jean-Paul Gaultier for Madonna’s Blonde Ambition tour in 1990. She calls botox and face-lifts a “waste of money”. The high-cheekboned British beauty has been embellishing magazine pages and runways since the 1950s and actually still poses for fashion houses like Moschino, Dolce & Gabbana, as well as for Nivea and Olay campaigns. She was discovered at the age of 20 when s he entered a local newspaper’s modeling competition and won. 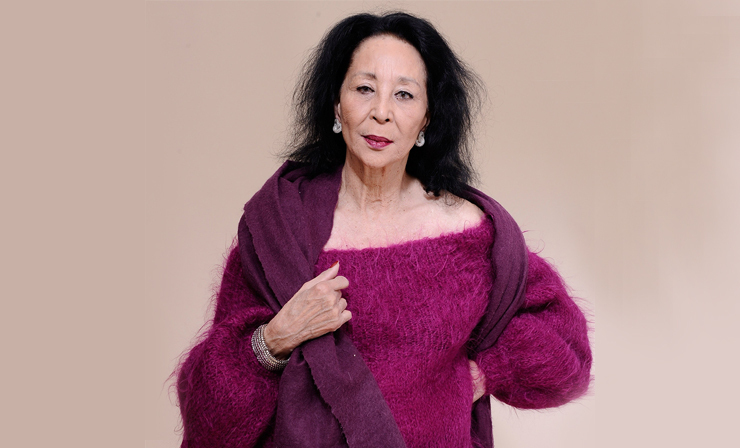 Born in Shanghai of Portuguese and Chinese ancestry, Avedon’s muse who became one of the most famous fashion models of her days in the 1950’s. She appeared on the pages of Harper’s Bazaar in 1958. At 24, China was an in-house model for Hubert de Givenchy in Paris, and re-signed a modeling contract in 2010 at the age 80. She also features in luxury store Barney’s Fall ad campaign, styled by former Vogue Paris editor-in-chief Carine Roitfeld. Swedish fashion model who became famous in the late 1960s and graced the covers of Vogue as well as Harper’s Bazaar in June 1968. 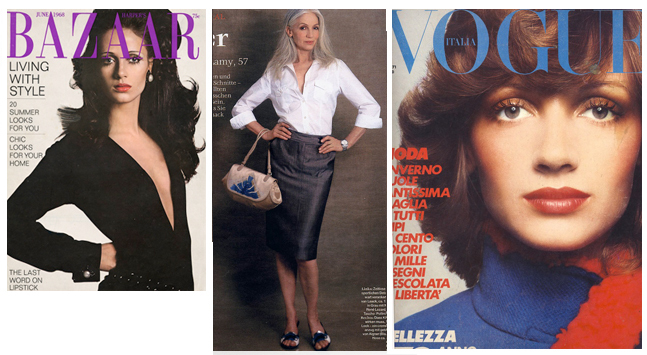 Later Ingmari appeared in Queen Magazine, the United States edition of Harper’s Bazaar, and Linea Italiana. She also was the face of Yves Saint Laurent perfumes for five years during the 1970s and muse to Kenzo. By 1991 she moved back to Sweden where she designed her own line called Ingmari Lamy. She took a break from the fast spinning world of fashion for a few decades but took up her modelling career again in 1991, since then she has walked for Martin Margiela, Yohji Yamamoto, Jean Paul Gaultier and Galliano. 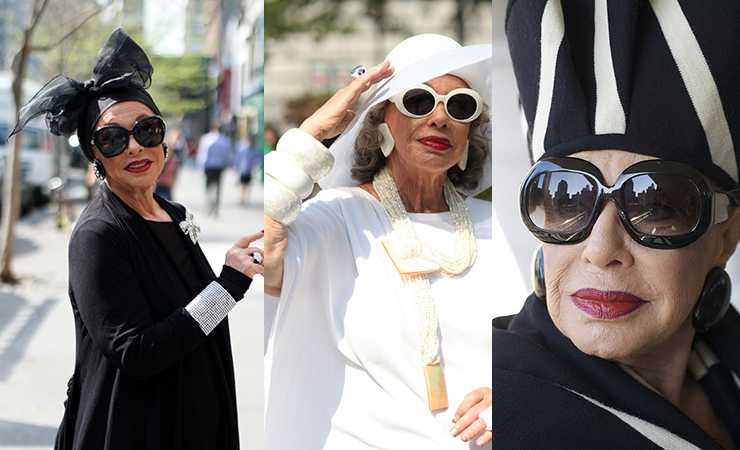 If you’ve been to New York City and managed to notice the stylish Tziporah you will never forget her. It’s really hard to exaggerate all her professional lines and experience. 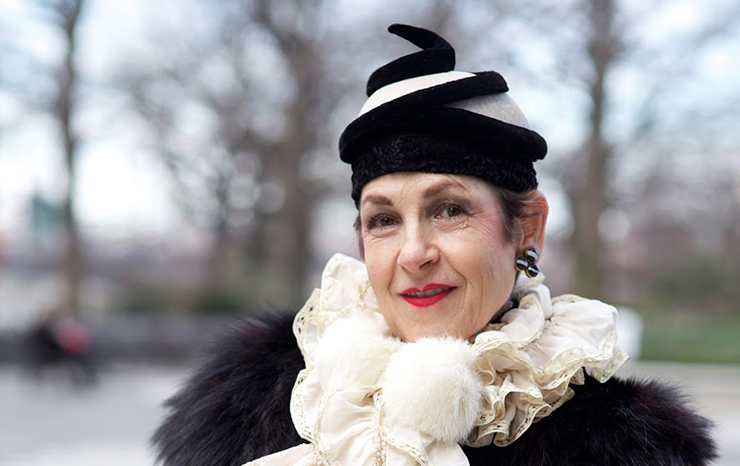 She’s a fashion consultant dressing individual clients, an instructor at Parson’s School of Design, a buying agent for a New York based French company, a production supervisor of hand-knit men’s sweaters for private labels, in sales at Bergdorf Goodman, Barney’s Women’s Duplex and Charivari and many other. And not so long ago Tziporah appeared in Lanvin’s international Fall/Winter 2012 campaign joining Alber Elbaz, Steven Meisel and Pat McGrath team. 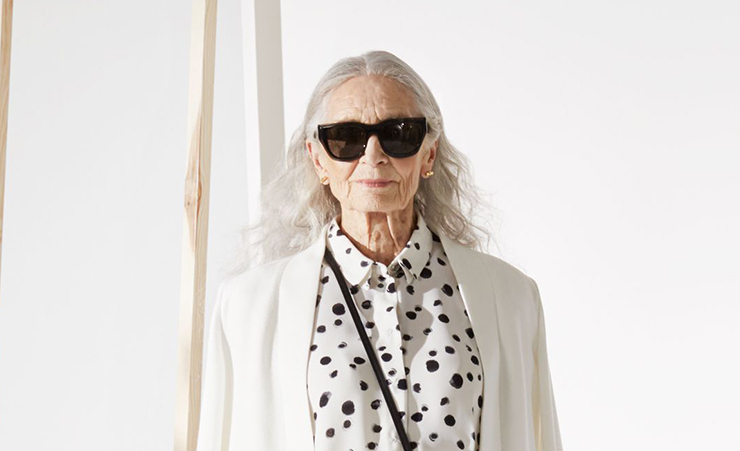 She always fought against the idea that older people have to vanish in society by becoming a model in her 70s. She says: “When people started stopping me about my clothes I thought, I’ve been through feminism, racism, and all the prejudices. 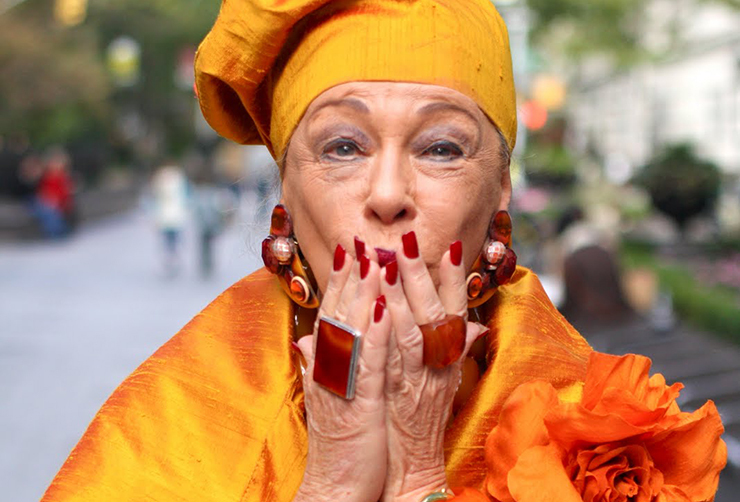 I’m an activist and Ageism is the last bastion.” The major weapon of hers is her colorful wardrobe which is a prototype of a political statement without saying a word. 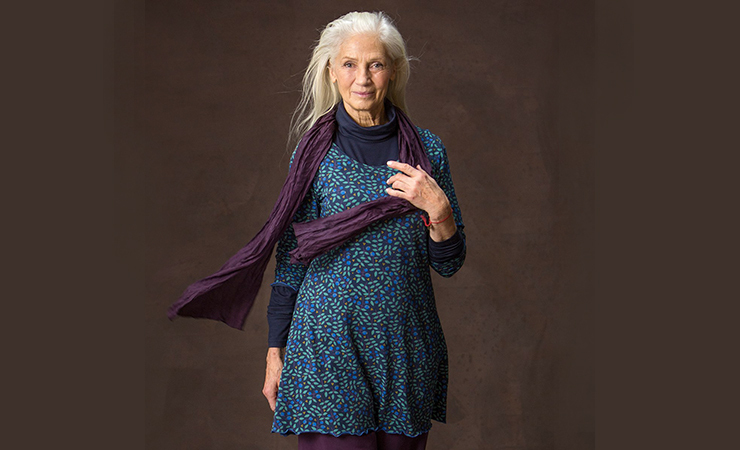 Bridget had a long career as a health educator, but has always been interested in fashion. As a young girl she copied folios from Balenciaga and Schiaparelli and dreamed of being a designer, nun and actress. She fused these passions together as an educator, interested in peace and development. She runs a boutique in New York called Off Broadway Boutique which is one New York’s most glamorous shops, located on the Upper West Side. She has compiled her own fashionable tastes into her shop; she has also managed to maintain a high fashion profile for over 40 years. In addition to hosting a successful television show for 10 years (called “Positively Lynn”), she produced and directed weekly fashion shows at New York fabulous Tavern on the Green and Grand Hyatt Hotel. Millions also saw her on top-rated nationally syndicated TV shows such as Oprah and Regis and Kelly Live, and heard her inspirational lectures on the radio and even of luxury cruise ships. 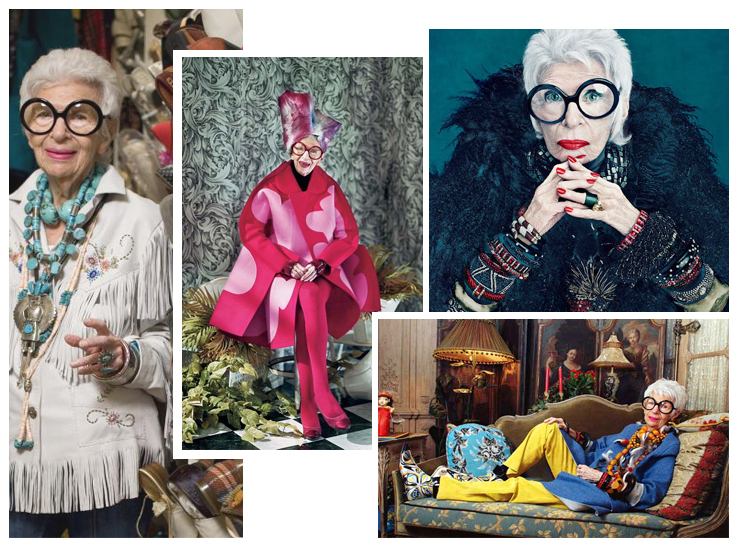 For those who still are not aware of the fascinating Iris – she is a fashion and interior design icon. She has designed the White House nine times for presidents Truman, Eisenhower, Nixon, Kennedy, Johnson, Carter, Reagan, and Clinton. 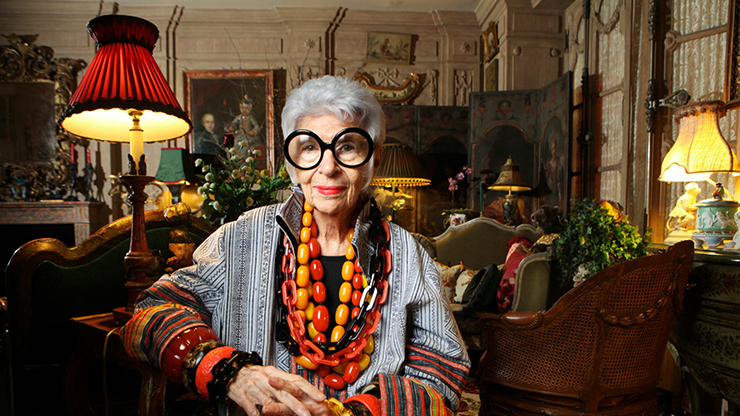 Iris is also an amazing American businesswoman, who instinctually followed her own eclectic sense of style for several decades. She was approached a few years ago to create a line of jewelry for HSN and not so long ago has launched the fall/winter collection of her handbag line called “Extinctions by Iris Apfel”. 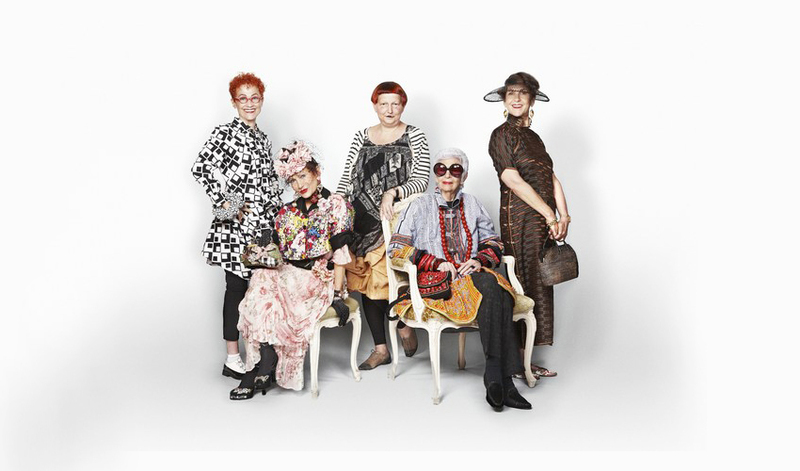 She calls herself a ‘geriatric starlet’ who yet is being admired by designers such as Isaac Mizrahi, Duro Olowu and featured in Paper magazine, Vogue and the New York Times. The M∙A∙C company got so much inspired by a rare bird that they decided to create joint color collection featuring lipsticks, beauty powder and eye shadows that are as bold as Iris herself.